Sometimes, customer relations can become a combat sport. Those frequenting your business can be seemingly unreasonable and it may be difficult to understand why they’re so upset about simple things like a lack of soap in the restroom. It’s easy, as a business owner, to be cynical and dismissive of customer complaints. But handling these situations with compassion and empathy is what separates the good businesses owners from the bad. Instead of being combative with customers who are complaining, you should understand that they are taking time to voice their concerns and should be valued. 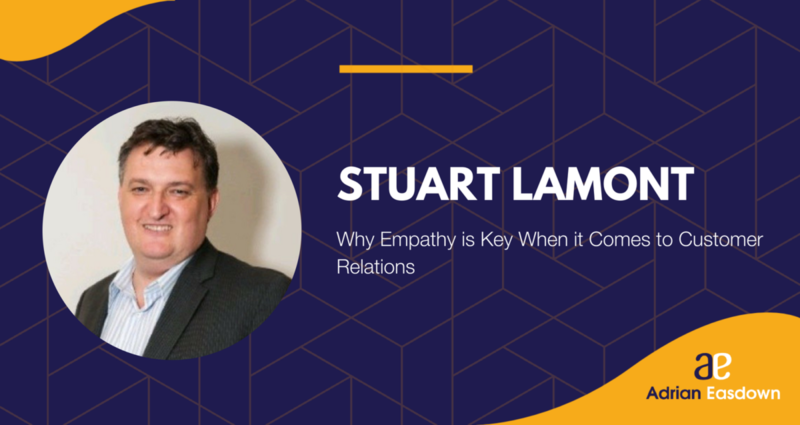 Stuart Lamont, CEO of the Caravan Industry Association, promotes empathy in customer relations more than anything else. On a recent episode of That Bad Review podcast, Stuart and I had a chat about the state of the caravan industry in Australia and how, throughout his career, he’s come to appreciate the adage “the customer is always right”. Why is that a good thing to take to heart? Recommendations from friends and family members are the most powerful motivators when it comes to which businesses you choose to frequent. If a good friend of yours comes and says that they had a bad experience at a restaurant, you’re not very likely to eat there anytime soon. So once you receive negative feedback from a customer, it’s crucial that you handle that initial moment of conflict with peace and understanding. Listen to their concerns. Let them get all of their frustration out there on the table, then calmly and confidently explain how you are going to solve the issue. Anytime somebody has a problem, they just want to feel like they’re being heard. Even the most stubborn customers understand that a business makes mistakes, and as long as it’s not a repeat issue and you’re showing that you’re taking the necessary steps to alleviate the problem, they will probably be more forgiving. Most people don’t love confrontation. But you should also take these situations as an opportunity to get better. Every stressful situation you have with a customer, or a bad review they may leave you, is a chance for you to fine-tune your business that much further. If a customer really is that upset about there being no soap in the bathroom, you can remember that situation and make sure that it never happens again. Don’t ignore that feedback — ask yourself how you can use it to make your business more successful. You can’t change the past, but you can use the customer’s unhappiness as a catalyst for change in your organisation. Everyone has problems with customers. But the difference between good and bad businesses is how they choose to handle these issues. Don’t let anger get the best of you — employ your better self and try to empathise with your customers. Listen to my entire conversation with Stuart here.